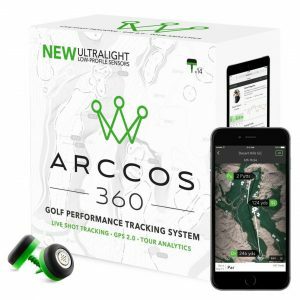 The Arccos 360 Golf Performance Tracking System is a fully automatic GPS and Shot Tracking System that capture a golfer’s shots and statistics real time as you play. After a round, the Arccos Tour Analytics Platform assists you in analyzing your playing stats and helps you break down the strengths and weakness of your game. 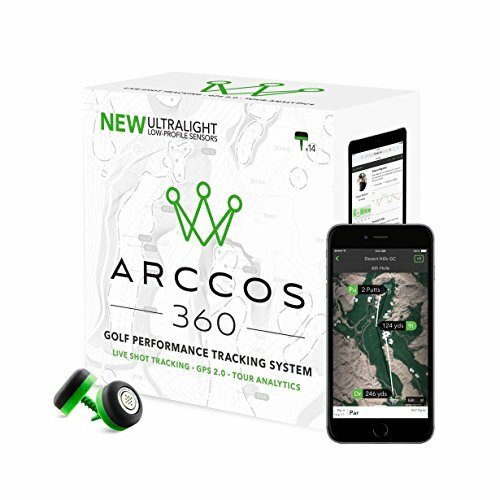 The Arccos 360 Golf Performance Tracking System is really 3 electronic training aids in one. Installation of the system is easier than one might think. 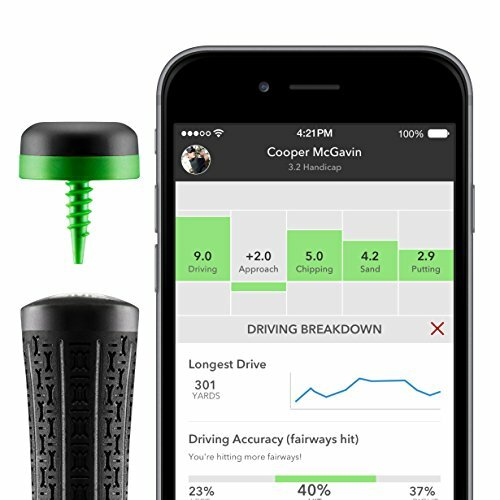 Essentially golfers will screw a smart sensor into the grip end of each club and then pair the club to the Arccos application that they have downloaded onto their smartphone device. While this set up might sound like a hassle, the entire process will take between 5 – 10 minutes to perform. Once installed and paired Arccos is good to go and ready to track your shots and stats starting with your next round. The Arccos 2.0 GPS offers over 40,000 courses spanning the globe. The GPS function is visible on Apple and Android smartphones. The GPS tracker offers accurate distances to the front, center and back of the green. In addition, with a touch of a finger a golfer can determine the distance to any point on the course. 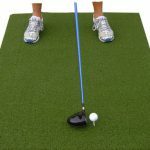 This feature enables accurate distances to hazards, doglegs and layup positions. Through repeated use Arccos can develop a detailed profile of your club striking. Arccos measures distance, longest hits, standard deviation in yards among other data points. A second example which is more prevalent occurs on the putting green. On occasion Arccos will count a putt when all a golfer tamps down a rough spot on the green with the putter. 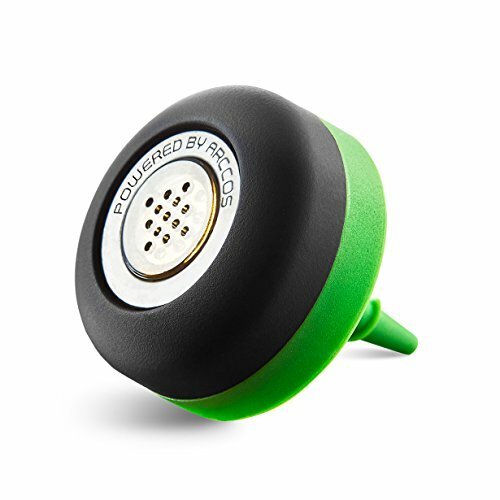 Or if a golfer uses his putter to hit back a “gimme” to another player, Arccos might count the impact as a putt. In both examples, in fact in all instances of Arccos “errors”, golfers can easily correct the errors on the spot or after the round. The Arccos Golf Performance Tracking Systems is a huge technological step forward in bringing real time data to the average golfer. We particularly appreciate Arccos’ ability to defog are memories in terms of how far we really hit the ball. Arccos is must have technology for folks who are committed to improving their golf games. Question: Do you have to carry your smartphone on you or can you leave it in your cart? Answer: It is best to carry your phone on you in part because Bluetooth has a limited range. The Arccos system’s GPS is based on the location of the app. If you leave your smartphone in the cart, the Arccos system will assume that the cart’s location is the point of shot impact. Question: How long do the batteries last in the club sensors? 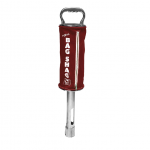 Answer: Generally speaking they will last approximately 5 years with 50 rounds per year. Question: How does Arccos tell a practice swing from a real swing? Answer: The sensors are programmed to detect an impact. A practice swing/putt shouldn’t register. If you take a divot on a practice swing, an initial shot may register. But, only the last impact at that ball location will be recorded. Question: Will the weight of the sensors effect my swing? Answer: Each Arccos sensor weighs less than 12 grams, meaning they have zero swing impact. In fact, blind swing tests showed even veteran pros couldn’t distinguish which clubs had sensors and which didn’t. See below to buy the Arccos Golf Tracking System! Our system features 14 ultralight sensors - one for each club. 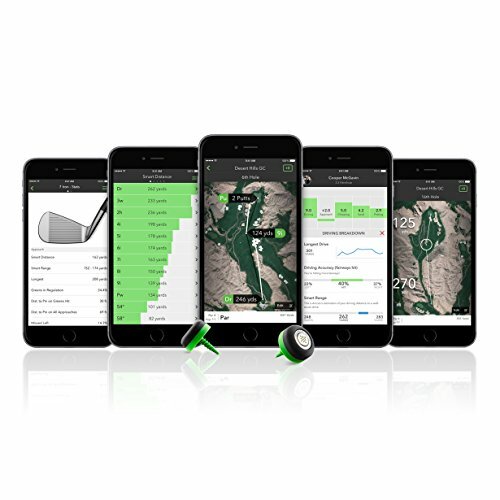 It automatically records and analyzes every shot you hit, combining Live Shot Tracking, GPS 2.0 and Tour Analytics to help any player make smarter decisions to shoot lower scores. Arccos users know the exact distance to any point on the course, learn precisely which club to use in every situation and identify actual strengths and weaknesses of their game. Arccos 360 unlocks data previously only accessed by PGA Tour pros. Developed in partnership with Microsoft, Arccos Caddie shows your optimal strategy on any hole in the world. It analyzes every shot you've taken with Arccos, as well as 120 million+ shots taken by the Arccos community on more than 40,000 courses. Arccos 360 is hands-free and fully automatic. Unlike competing products, it requires no tagging, tapping or other annoying disruptions to a player's routine. The updated low-profile sensors are 50% smaller and lighter than the original Arccos Golf system. Arccos 360 sensors feature a permanent battery that is designed to last five years. The sensors come standard with a no-questions-asked, two-year warranty. Welcome To The Best Golf Training Aids!